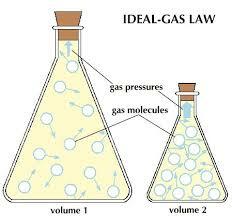 Basic objective of this term paper is to discuss the Development of the Ideal Gas Law. An Ideal gas consists of identical, infinitesimally small particles which only interact occasionally just like elastic billiard balls. Real gases act comparable to ideal gases at the normal temperatures and pressures located on the earth’s surface. The gases in direct sunlight are not ideal gases a result of the high temperature and difficulties found there. Here also discuss on Boyle’s law, Charles/Gay-Lussac law and kinetic theory of gases. How Newton derives Kepler’s Law of Areas?